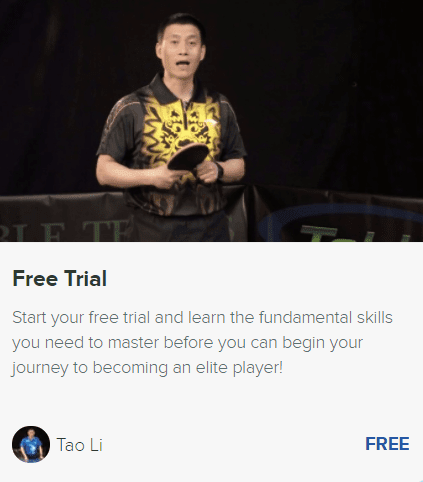 Serious ping pong players need the best equipment in order to reach the professional skill level that everyone wants to become, and Killerspin brand is one of the leading brands in the world of ping pong that helps the players to achieve their goals. Killerspin Revolution ping pong table is a professional ping pong table that can often be seen on national, international, but mostly on the World Championship and table tennis Olympic games. To be one of the best, you need to use everything possible at the best level in order to achieve your goals. Professional ping pong paddle and a professional ping pong table are the two things that could improve your game. The high-end design of the Killerspin Revolution table tennis table is engineered for performance, and it’s important to keep in your mind that this ping pong table isn’t foldable. So for this ping pong table, you will need to have a permanent place to have it set up all the time. Killerspin Revolution table tennis table has been introduced from premium 22 mm medium density fiberboard that is also known as MDF top. Superior stability of the Killerspin Revolution table tennis table is achieved with the help of arched aluminum-plated base. The base of this ping pong table isn’t foldable, and that’s why it’s mostly used in the tournaments where it can be left permanently open. The heavy-duty steel frame of Killerspin Revolution table tennis table will make sure that the table doesn’t move no matter how intense the ping pong games were played on it. It has been precisely designed and crafted to meet all the standards in the professional world of ping pong. The top surface of Killerspin Revolution table tennis table has a special anti-glare coating that will prevent the glare of the lights if they’re located right above the ping pong table. It’s useful for players to concentrate on the ball and table without getting blinded by the light. Also, the top surface also has ball mark-resistant coating that will never collect dust or dirt from the ball, keeping it clean and always neutral. The price of Killerspin Revolution table tennis table might be too high for some of the players, but in the price, you will also get professional premium Killerspin Apex Net and steel post system to attach it. The net and the post system also meets the standards of International Table Tennis Federation and it is also used at highest professional levels and tournaments. On such high-quality table, you will also get a bonus that is a 1-year limited time warranty in a case you experience any problems. Killerspin Revolution table tennis table is a table that provides the right balance in between the competition-quality ping pong table and a world-class design, which will make you look no further. In my opinion, it’s one of the best looking ping pong tables in the world of ping pong. Another great thing is that the ping pong balls are easily reachable under this table due to the futuristic, yet unique and efficient construction. Killerspin Revolution table tennis table is one of the best-looking ping pong tables that is often used at the World Championship tournaments by one of the best ping pong players in the world. The high-quality materials and construction used to craft the Killerspin Revolution ping pong table is a top-notch quality that can’t get better than this. It’s definitely one of the best ping pong tables out there, and that has been proven by the ITTF. It provides the stability and coatings that will keep the ping pong game fair and respectful. The price is right for everything this ping pong table offers, and every serious ping pong player will know the advantage of this ping pong table.